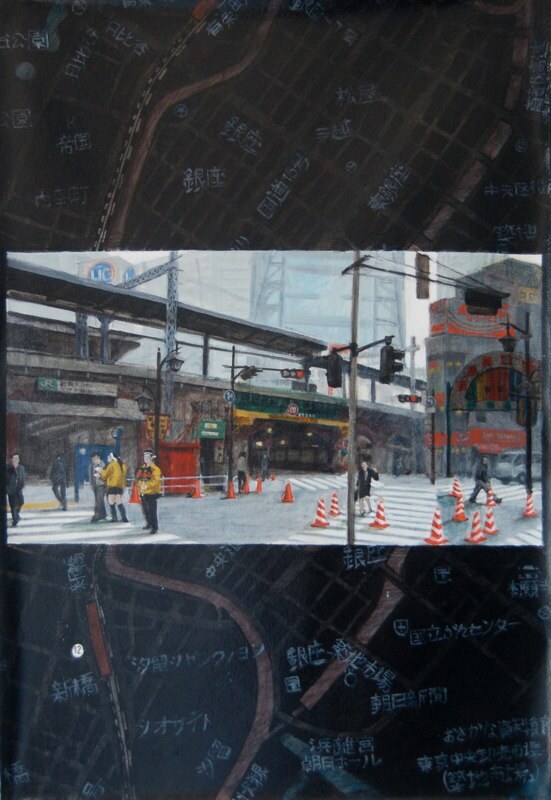 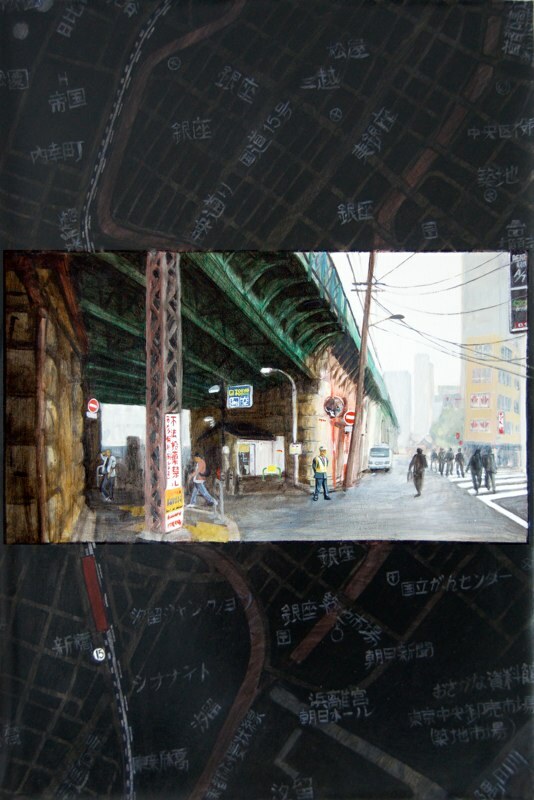 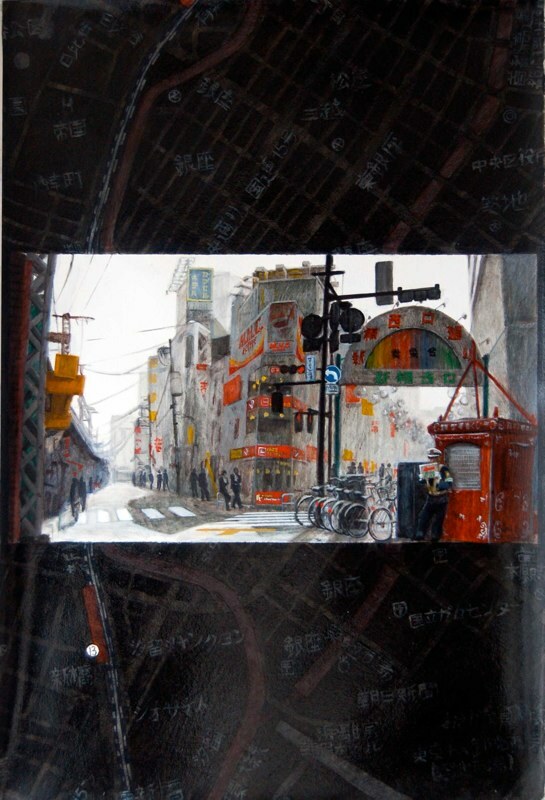 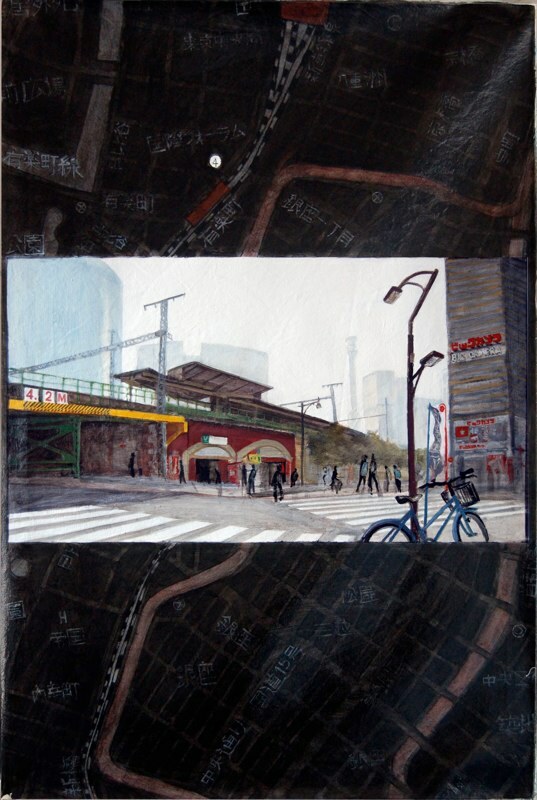 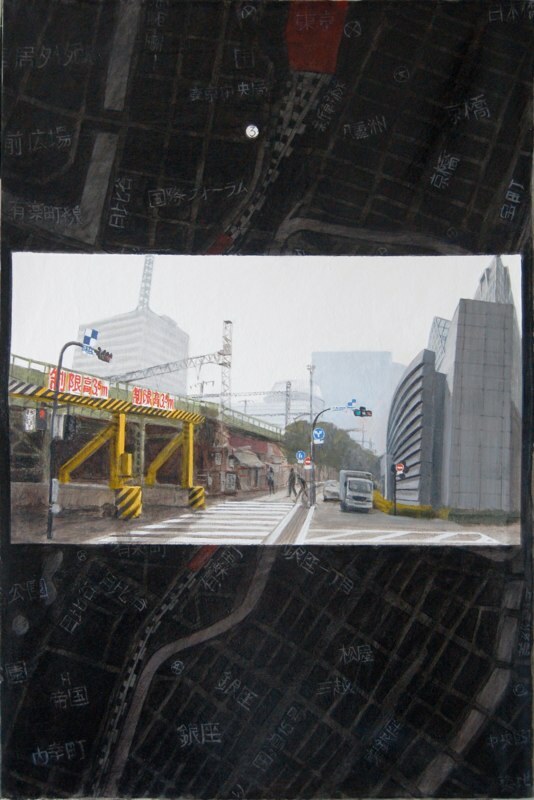 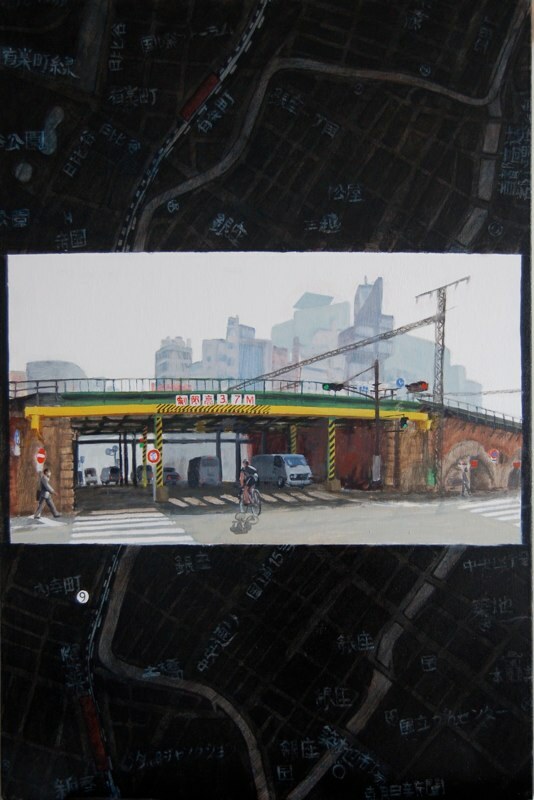 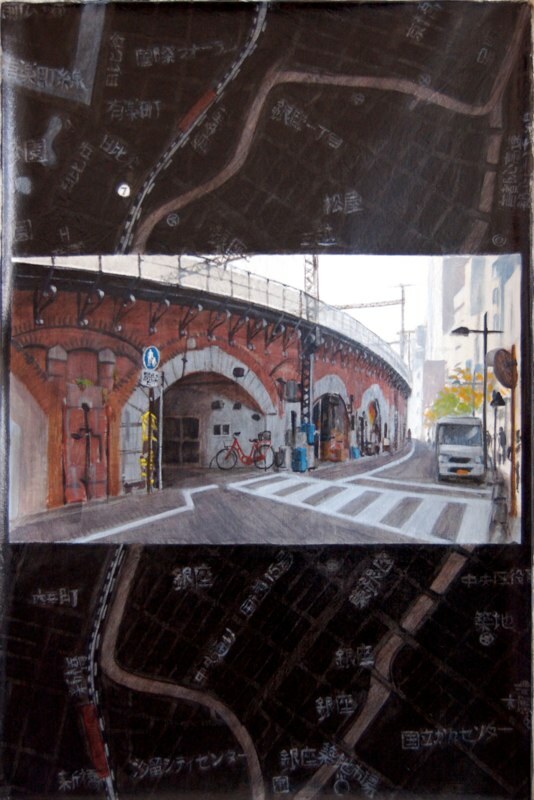 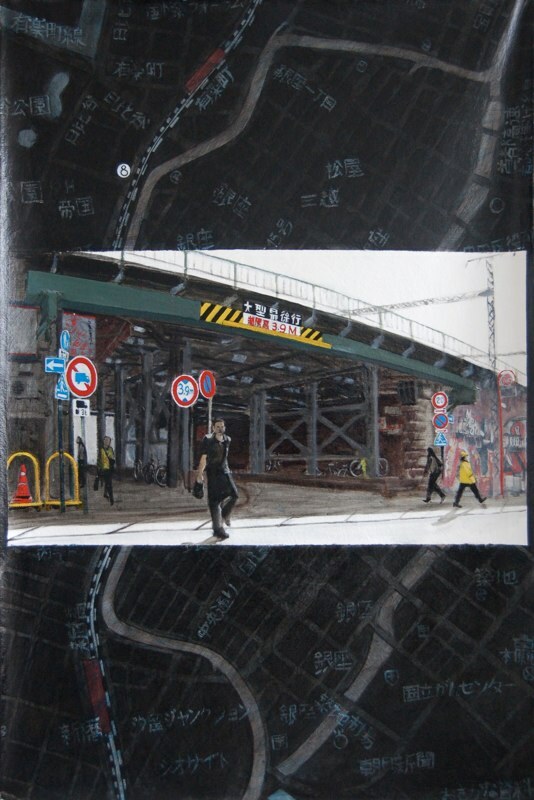 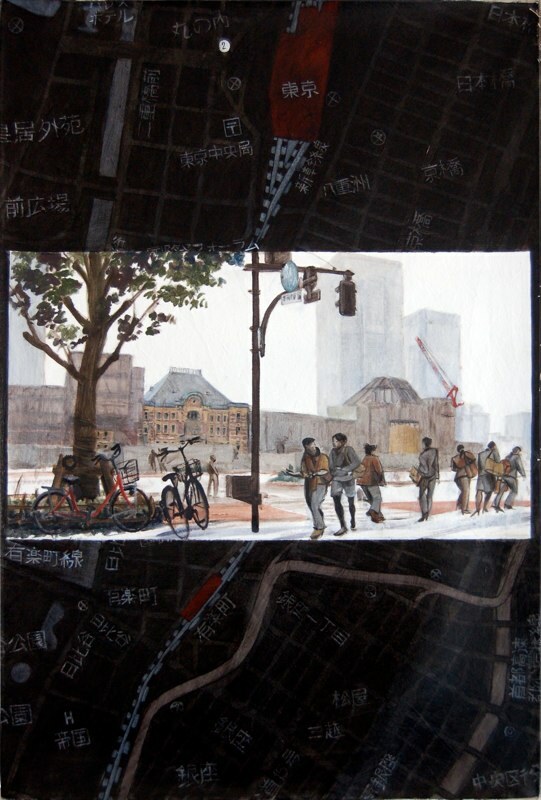 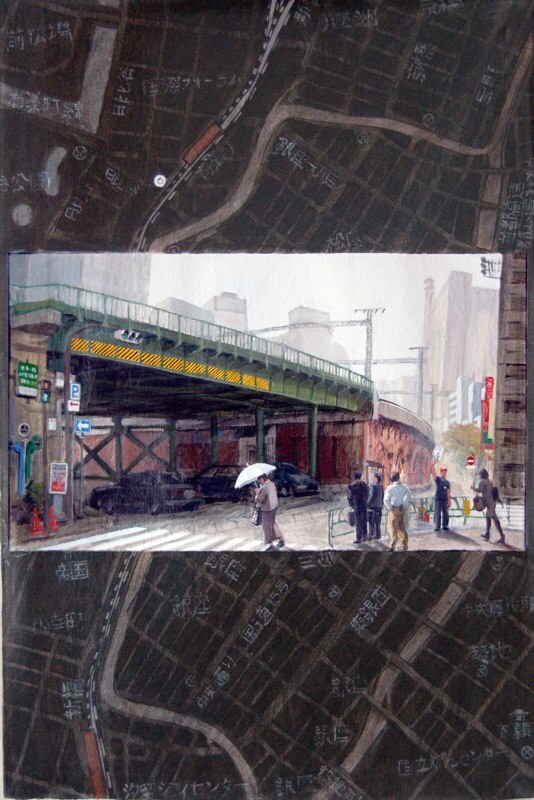 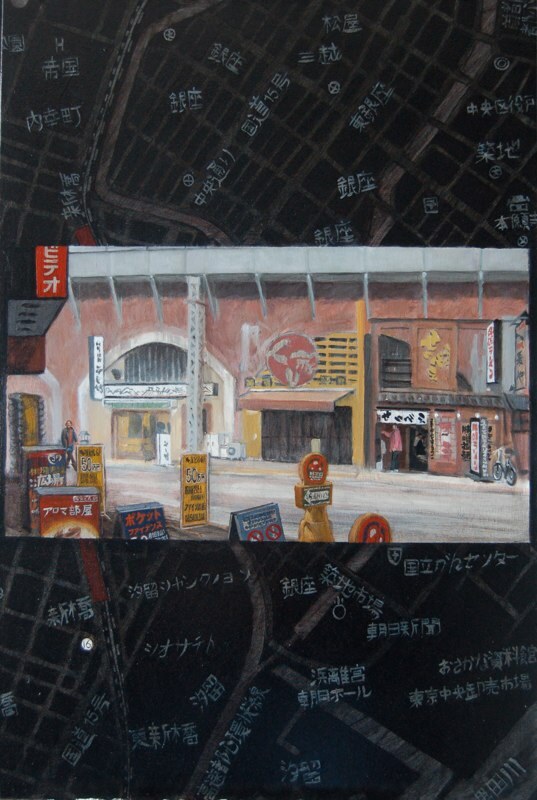 The 17 watercolor views were developed later in oil in my New York studio, from painting number 1, Tokyo Station, to painting 17, the end of Shimbashi. 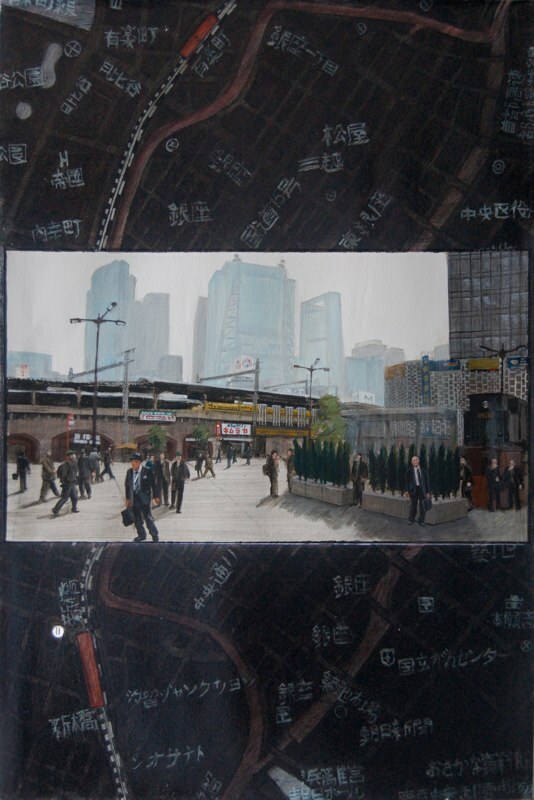 Each view is placed in the middle of a map that shows its location along the railroad tracks. 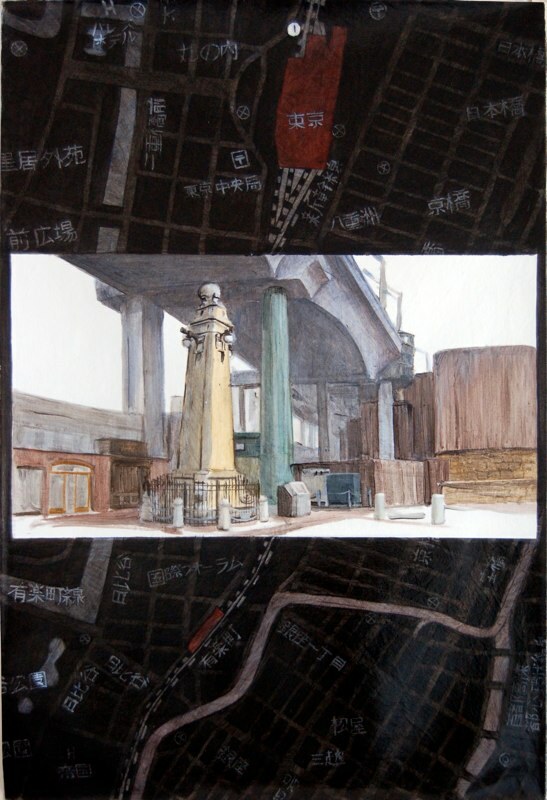 The map slowly drifts towards the south with each new view. 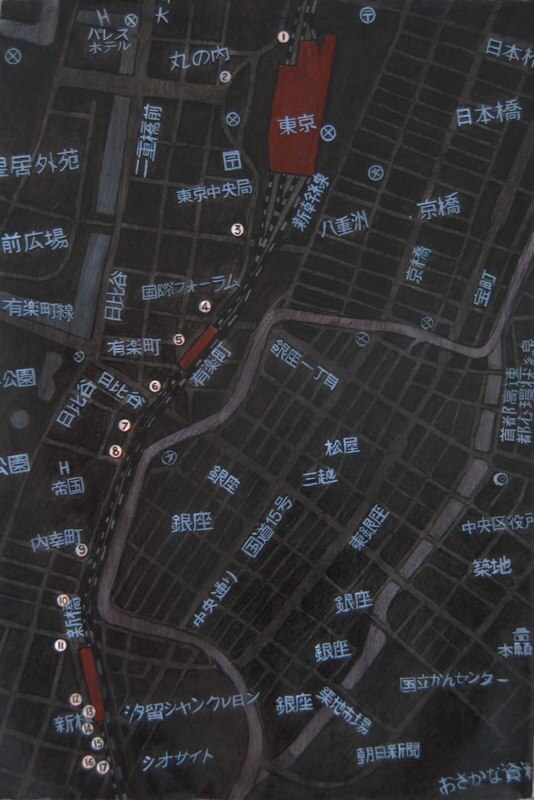 I repeat each map, redoing the same calligraphy over and over. 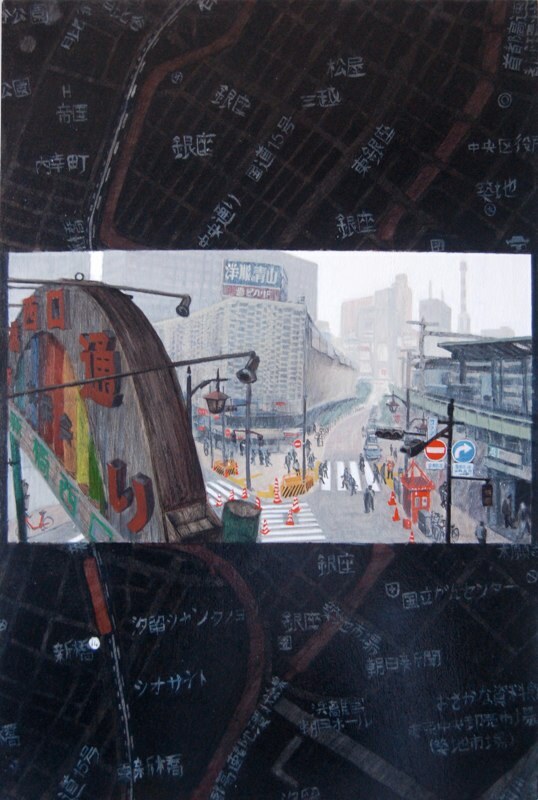 Style of the calligraphy changes with the learning process and degradation of the brushes. 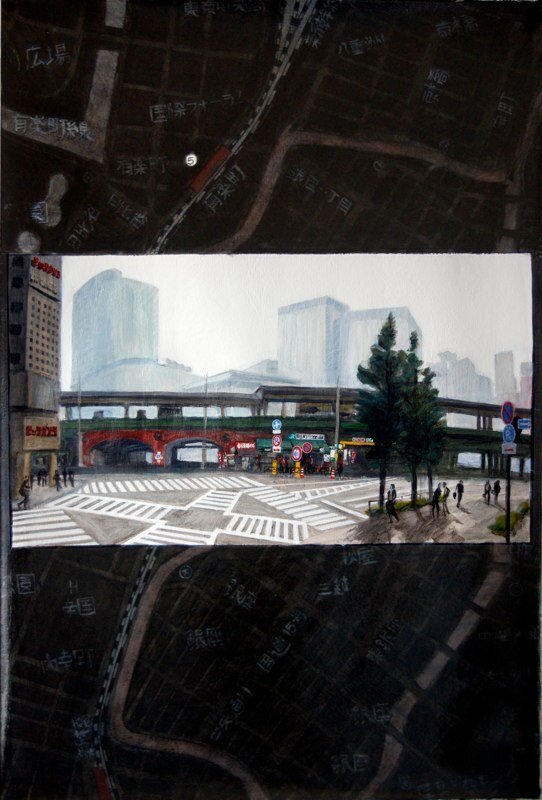 The painting of the views itself evolves. 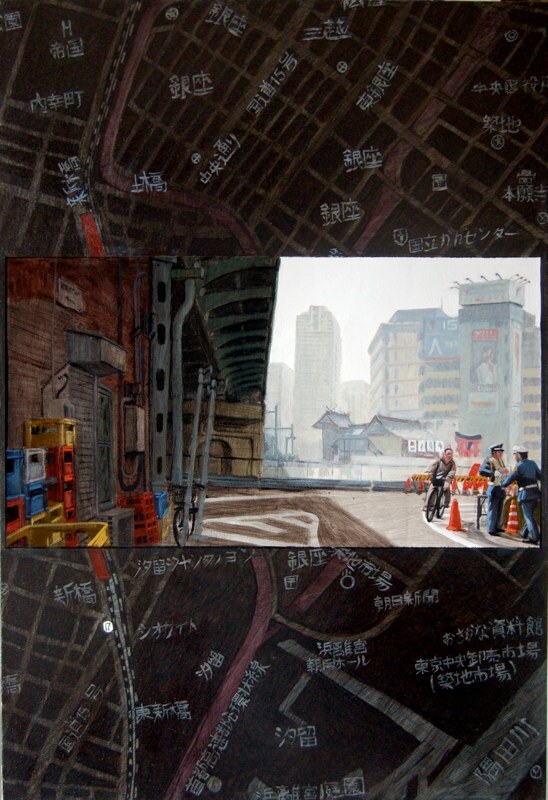 The first ones are closer to the style of the watercolors to evolve toward a different use of oil glazes, playing more with the light and atmospheric perspective in the later ones. 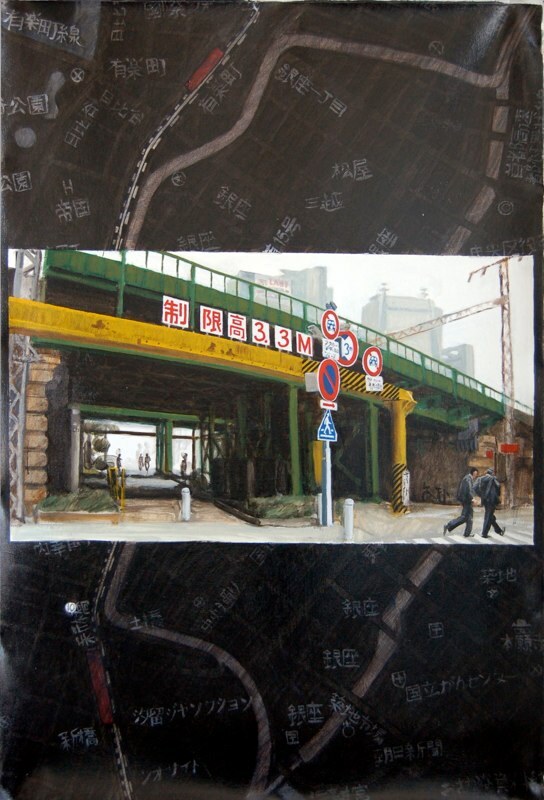 They are presented like Japanese kakemonos with 2 wooden bars sawn top and bottom.